Clicking on any of these modules will open a control panel where you can set the status, position, title, access level (Guest, Public, Registered or Special), the location of the module within your website and more. 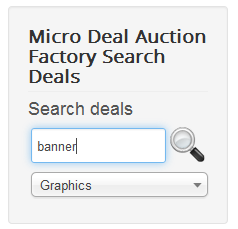 Enabling the Search Deals module will give the users the possibility to perform searches after specific details. 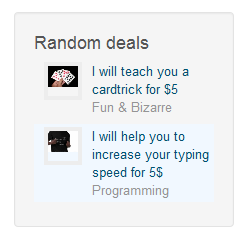 Deals can be searched after their titles and/or by their categories. Leaving the title fields empty will display all the deals available on the selected category. 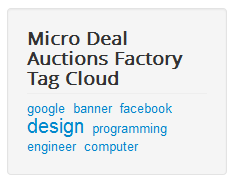 The Tag Cloud module generates a cloud containing the most frequent deal tags. The size of the words represents their usage. The bigger ones are the most used while small ones are less used. Clicking on one of them will perform a search for deals which contain the respective tag. 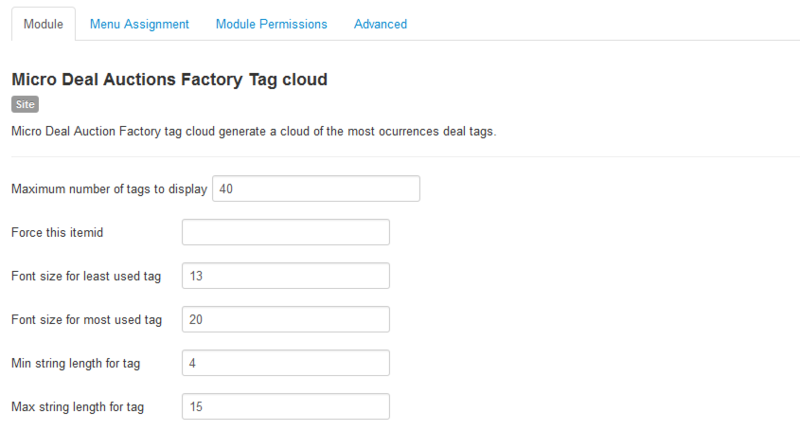 The backend part of this module allows you to set the maximum number of tags to be displayed on the cloud. Set the Font size for both the most used and the least used tags. Min string length for tag and Max string length for tag allows you to define the minimum and maximum number of characters a tag must have in order to be displayed. Enabling and using the List Deals module will display a list of deals. Depending on the backend configuration, it can display either the latest deals created or a random listing of deals. Clicking on the title of a deal will redirect you to its details page. Here you can also see the images of deals, if available, and their assigned categories. On the backend, you can set the limit of displayed deals from the Number listed deals field. List type allows you to choose which items will be displayed, Latest deals or Random deals. In case you want to display both of them, you can duplicate the module and set them accordingly.